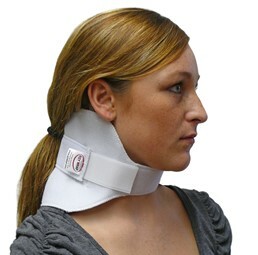 A soothing hot or cold therapy wrap for your neck. This Velcro® compatible wrap is available in 4 or 6 inch heights and will accommodate either the 4 inch or 6 inch cryotherapy ezy Gel Bag for Use Hot or Cold. The blue foam with single cryotherapy pocket provides a comfortable interface and allows optimum relief.